Enlarge / You’ve probably caught at least one of these, right? On August 27, 1998, Topeka, Kansas became Topikachu for one day—a ceremonial renaming to celebrate the US arrival of a new video game franchise, Pokémon. While popular previously in Japan, the franchise’s impact has been felt in the US ever since. To remember this gaming landmark, we’re resurfacing this classic Ars tale of franchise fandom over Labor Day Weekend. The piece re-emerged once before in February 2016 for the 20th anniversary of the original release of Pokémon Red and Green in Japan, and it originally ran in October 2013. I’ve been playing Pokémon games since I was 13, and I’ve felt just a little too old for the games pretty much the entire time. Having an eight-year-old brother slavishly devoted to the games, and the anime, and the trading cards, told Young Andrew all he needed to know about the age of kids who were into Pokémon. Even once he (er, me) finally gave in to his curiosity and began playing Pokémon Blue (via the No$ gmb emulator on the computer), he only played it with headphones in and the door to his bedroom closed. That experience set the tone for the next decade-plus of Pokémon playing: done in secret, kept to myself, a source of shame. I’ve never watched the anime. I don’t collect the cards. I don’t play the weird offshoot games like Pokémon Snap, Pokémon Rumble, or Hey You, Pikachu! or whatever. My possession of Pokémon merchandise is limited to a handful of figurines I picked up when I went to Japan in 2010. But every time a new game in the main RPG series has come out, I’ve been there. The games have been with me through childhood into adolescence and adulthood, and while they’ve changed (and I’ve changed) the things I enjoy about them haven’t. My first real taste of the Pokémon games was the Yellow version, a repackaged edition of the original Red and Blue games. I already mentioned that my very first Pokémon experience was actually thanks to an almost certainly illegal emulation of Pokémon Blue. The Game Boy emulators of the day provided a pretty cruddy experience on my computer’s 133MHz Pentium, and all of my pocket monsters were trapped on the computer, unable to battle or be traded with people playing the actual game on actual Game Boys. I needed a real copy of the game, but I had no money or means of conveyance. My aforementioned shame issues meant asking for a copy for my birthday or Christmas was right out. Salvation came in the form of a fellow eighth grader with a slightly beat up-looking copy of Pokémon Yellow: Special Pikachu Edition (a version of Pokémon Blue/Red that had been changed to more closely follow the events of the anime). He wanted $ 10, a manageable amount even for a kid without an allowance. I informed him, perhaps too emphatically, that I was buying the game for my little brother. Money changed hands, and soon I was smuggling the game home to play where no one could see it happening. The first-generation Pokémon games were rudimentary RPGs even for the time, and the balance of the game was pretty fundamentally broken. But it scratched an itch that most RPGs I played up to that point had never scratched. The Dragon Quests and Final Fantasies of the world had some non-linear components, but character progression was always in a pre-determined straight line. Every person who played the game got characters that leveled up in the same way and equipped the same weapons and armor. The version of Kain in your copy of Final Fantasy 2 (or IV, I guess, for purists) had an optimal set of equipment and a pre-determined set of skills that they all learned at pre-determined levels. 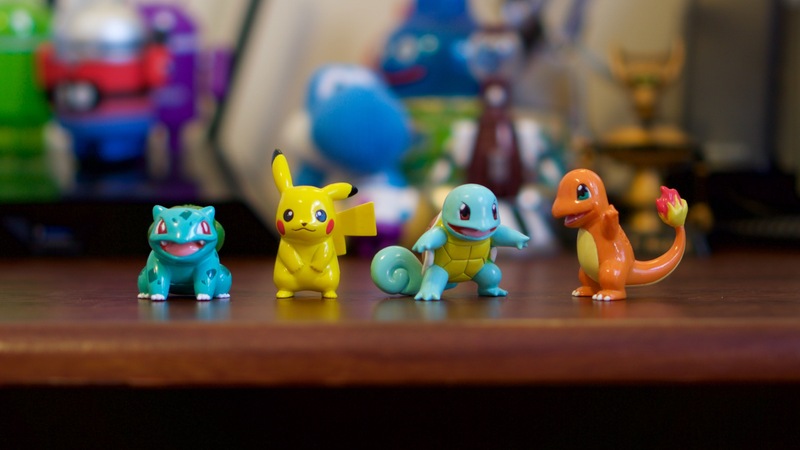 Character customization was implemented in later versions of those games via job systems and Espers and the like, but not to nearly the extent that Pokémon promised with its 151 monsters and 165 moves. On top of Pokémon‘s creature variety, I enjoyed the rock-paper-scissors battle system that serves as the bedrock of the games. In those days, Pokémon could be one or two of 15 different types, each with its own corresponding resistances and weaknesses. Mastering the game’s system meant not just balancing your own team of six Pokémon and their moves to counteract any given Pokémon you might run into, but also memorizing the types of every other Pokémon in the game and remembering how those types interacted with each other. A rock-type pokémon is neither weak to nor strong against electric-type moves, but a dual rock/ground-type pokémon is completely unfazed by electric moves thanks to the ground type’s immunity to them. Especially when battling human players, countering every opponent you went up against required no small amount of strategizing and prediction. These first games were miles from perfect. The graphics were pretty bad even by the standards of the original Game Boy (seriously, a game that looks like this stuck out like a sore thumb compared to the Nintendo 64 and PlayStation-era games of its time). By the standards of what would come later, the battle system was simplistic and repetitive. Most damningly, the game’s balance was fundamentally broken by the psychic type in particular. Psychic Pokémon were only weak to bug types, but most bug-type Pokémon had pretty mediocre stats, and the type didn’t have access to the strong attacking moves that more common types received. The second generation of games wouldn’t fix all of these problems, but they brought in many features that remain with the games to this day. Enlarge / Pokémon Gold and Silver were the Super Mario Bros. 3 of Pokémon games. Time just moves more slowly when you’re a kid. These days whole months seem to fly by in the blink of an eye, but the less-than-a-year that passed between my buying Pokémon Yellow and me getting Pokémon Gold around my 15th birthday felt like an eternity (if memory serves, I bought it myself rather than asking for it directly, a byproduct of my all-consuming Poké-shame). As with the first generation of games, my first experience with Pokémon Gold and Silver was in a Game Boy emulator, this time in the form of a barely translated ROM that I couldn’t read well enough to play very far. It said something about my obsession with the games at that point in my life that I was willing to play the game in that form for as long as I did. It did nothing but whet my appetite for the real English translation that was still months away. To this day I think Gold and Silver are my favorite entries in the series because it’s difficult to think of anything they did wrong. 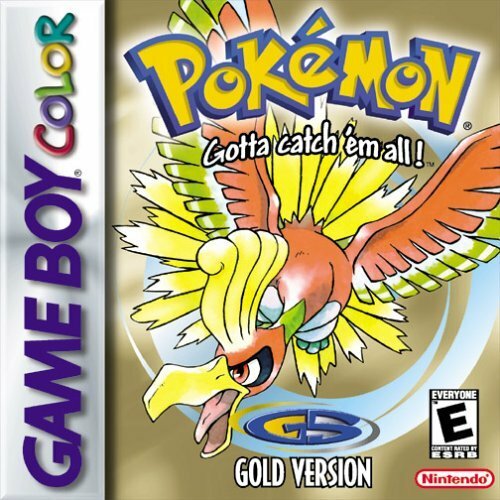 As Game Boy Color games, the graphics were good enough that the Pokémon on the box resembled the Pokémon in the actual game. One hundred new Pokémon (which, unlike later entries, were mostly up to the high design standards set by the first game) were thrown into the mix, bringing the total up to 251 and introducing even more variety. Your old Pokémon could be traded into the new games, preserving your hours of effort. Once you beat all of the new gyms and cleared the game, updated versions of the gyms and towns from the first game were made available as post-game content. It nailed that blend of “new stuff” and “fan service” that makes a good sequel really entertaining and memorable. It was the Super Mario Bros. 3 of Pokémon games. The most notable enhancement to the second generation of games was its rebalancing of the battle system. The tweaks didn’t fix it completely, but they went a long way toward ameliorating the obvious deficiencies of the first game. To prevent psychic types from dominating the game, dark- and steel-type Pokémon were introduced, stronger bug type moves were introduced, and the psychic type was also made weak to the existing ghost type. Dark Pokémon were immune to psychic moves and offensively strong against psychic, while steel Pokémon were resistant to psychic attacks (and a whole bunch of others besides). These were the last new Pokémon types introduced for over a decade, and the next three generations of games would build on the foundation shored up by Gold and Silver. Beginning in Ruby and Sapphire, the monster designs started to get a little stranger. It’s not clear exactly what this guy is supposed to be. I had just turned 16 when the third generation of Pokémon games came out on the Game Boy Advance in Japan during November 2002. At that point my Pokémon fever had broken enough that I wasn’t desperately trying to play some less than half translated version of it on the (now Pentium II-based) hand-me-down PC in my bedroom. While I still bought the new game soon after it hit the US in March of 2003, my fervor had dwindled to mere enthusiasm. By this time, birthday money ceased to be my main source of income, and I no longer had to resort to knife-in-the-dark subterfuge to get my Pokémon on. In part because of a traffic ticket (failure to yield, my only ticket to date) and in part because I wanted to have spending money for more than two weeks out of the year, I took a job at one of our small Ohio town’s three fine McDonald’s restaurants. I earned $ 5.15 an hour, and my first paycheck was about $ 180. I used it to pay my parents back for the ticket and to buy a PSone, a memory card, a new copy of Dragon Warrior VII, and a used copy of Mega Man X4. Anyway, thanks to my minimum-wage cash register job and a succession of crappy cars, I was able to drive to the Gamestop in the mall and pick up a copy of Pokémon Sapphire for myself. I was vaguely embarrassed about having to ask an adult human being to give it to me, but I was relieved that it wasn’t a friend, family member, or co-worker that I had to reveal my Poké-addiction to. Otherwise, my all-consuming shame was alive and well. I played the game alone in my room or in my car at work during breaks. You’d think I was doing hard drugs, not playing a video game where electric dogs and fire ponies kick each other. While still solid games overall, Ruby and Sapphire exhibited early signs of the troubles that would start to turn more casual players away from the franchise. The graphics, while upgraded from NES-ish quality to SNES-ish quality, were still limited to mostly static sprites in battle scenes. The battle system, while made deeper by the introduction of passive abilities assigned to each Pokémon, otherwise followed Gold and Silver’s template to the letter. This generation was the point where the monster designs began to go downhill. Not all of the Pokémon from the first two generations were perfect (this one’s a… tree? With eggs? Here is one that is just a pine cone that evolves into some kind of spiky ball. Also here’s one that began life as a racist stereotype. And what is this thing? ), but starting in the third generation, more of the monsters started sprouting weird nonsensical spikes and other odd ornamentation. This change was probably driven in part by the more detailed graphics that the Game Boy Advance could render, but it made some of the monsters less iconic and endearing. I would take Blastoise or Charizard over this guy any day, thanks. The third generation Pokémon games were notable for being the only ones in series history to break compatibility with the preceding games. There was literally no way to transfer your hard-earned monsters from the Gold and Silver games (and, by extension, the first generation games) to Ruby or Sapphire.